At the end of January I attended the PGA show in Orlando and had the opportunity to check out the newest line of TRUEs for the upcoming year. Just like last year – I thought they all looked wonderful. One of the recent additions to the line was the PHX and I decided to put them up to the test. 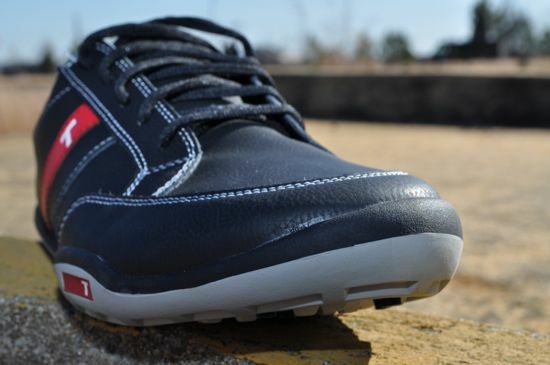 The PHX shoes are a result of many people asking for a lower-priced offering from TRUE. 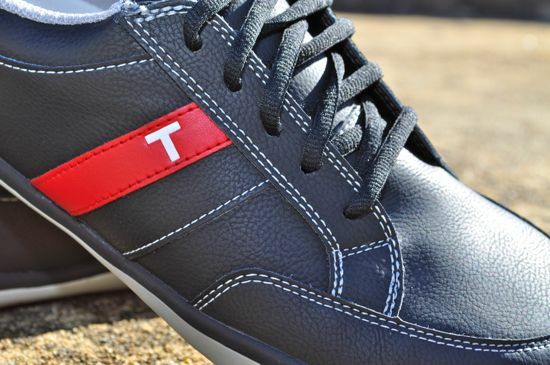 The price of the TRUEs kept many casual golfers away from making the switch last year and the request for a cheaper shoe can be seen across all of the typical forums and boards across the web. Lots of people wanted to try the shoes – but simply didn’t feel comfortable making the investment. The PHX is the TRUE answer to this request. To start with – the PHX is a great-looking shoe. The PHX has more of a sneaker look-and-feel than any of the offerings from last year. 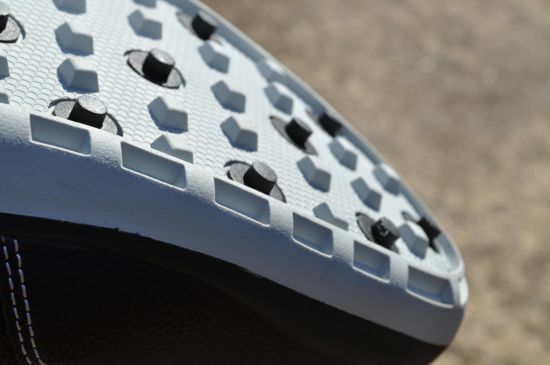 The toe box on the shoe is similar to last year’s models – although the design of the shoe results in the toe box standing out much less than last year. 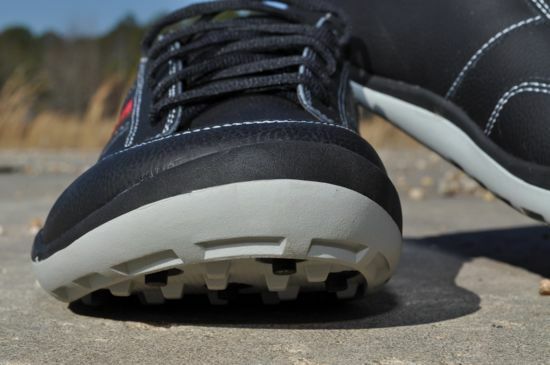 The space in the toe box is a defining characteristic of the TRUE line-up, but it also takes some getting used to. The shoe has a distinct feel – much like it’s hugging your foot and the soles of the shoes have a noticeable low-profile feel to them. 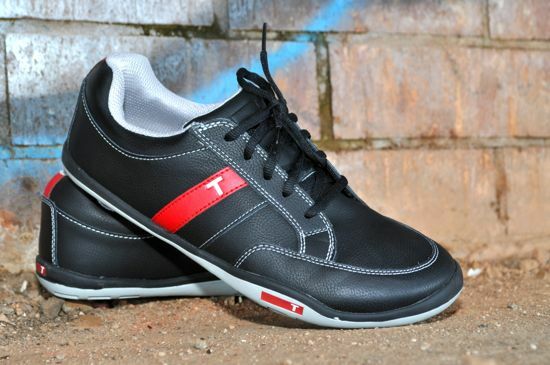 In short – these shoes were designed for walking and keeping your feet comfortable. 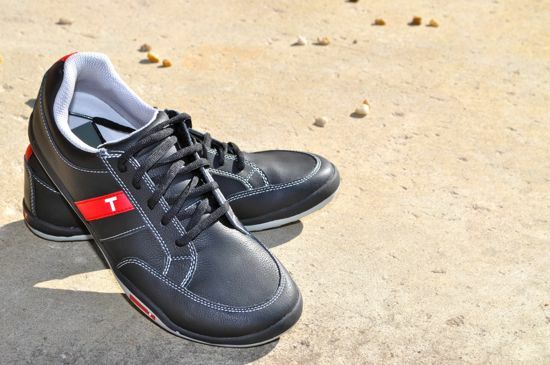 The TRUE approach to shoe design is leaps and bounds ahead of all of the other golf shoe styles out there. 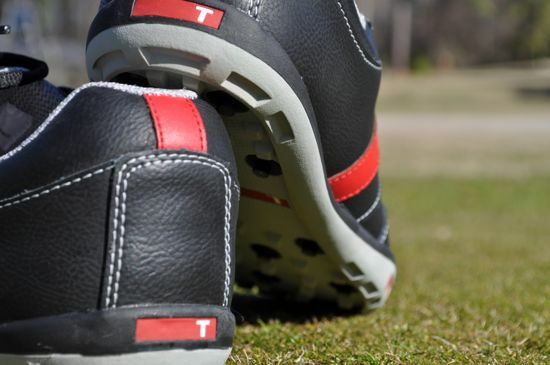 While I certainly enjoy playing in a variety of different shoe styles – there’s nothing matches that thoughtfulness of the design that goes into the TRUE lineup. The PHX also proves to be a great hybrid shoe. 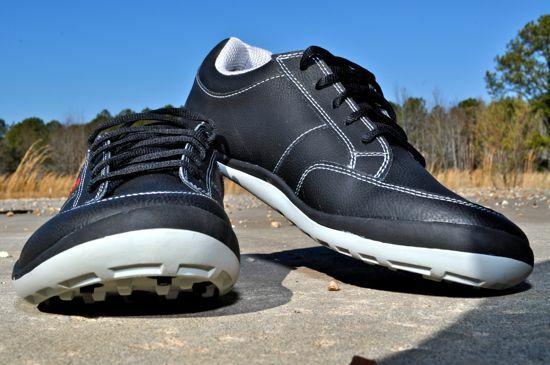 I can easily wear the shoe to the course and back or to run errands after playing. When I wear the PHX to go play – I never take another pair of shoes with me. I wear the shoes to the course and then for whatever I end up doing after my round. For sizing – the PHX seems to run big and other reports around the web confirm this. The PHX that I used for this review was 1/2 size smaller than my TRUE Tours from last year and the size that I typically wear in most golf manufacturer sizes. If you are ordering online – I would go down by 1/2 size and if you are lucky enough to live near a store that carries TRUE then certainly try them on to get the size dialed in. From a pure performance standpoint – the PHX is great. The PHX is perfectly capable for walking 18 holes of golf – although they do tend to break down for me around 27 holes. 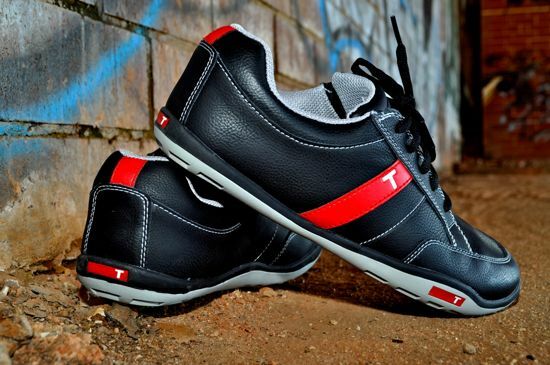 That being said – the only shoes that I’ve worn that don’t break down around that point are the higher-end TRUE models. In the few times this year that I’ve walked 36 in the PHXs my feet do ache near the last half of the 2nd 18 (I can easily fit in 36 in my TRUE Tours). 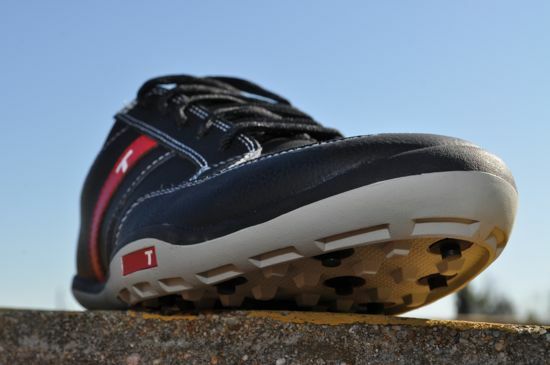 Even so – that’s still about 18 holes further than a standard traditional golf shoe seems to make it and more than enough if you typically ride. The redesigned soles of the TRUEs feels more stable than last year’s line. 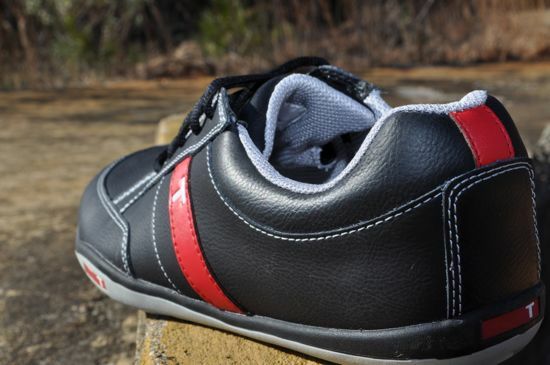 Although I didn’t have any problems with the 2011 TRUEs slipping out – the 2012 soles do feel more grounded throughout the swing. The only downside of this is that the soles do tend to hold grass from a recently-cut course. 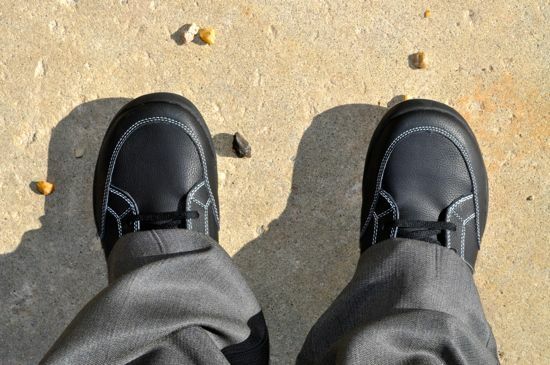 The grass is easy to remove from the soles by slapping them together a few times or by using compressed air cleaners. At the price-point that the PHX is offered at – there is clearly not a better shoe on the market that I’ve seen. Personally, I would put the PHX up against anything that the major manufacturers produce. 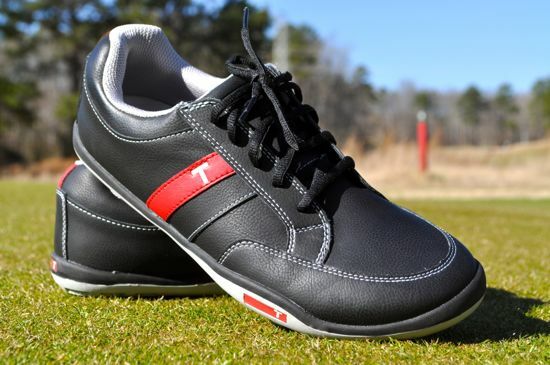 The progressive look of the shoe is at the top of it’s class and the aesthetic is one of the strongest across all of the golf shoe manufacturers. Although the PHX was clearly born out of placing performance first – the resulting design of the shoe is nothing short of excellent. The color ways are great and the styling is modern. If you’ve been waiting for a lower price point from TRUE then here’s your chance. The PHX combines a nice look and feel with solid performance at a price that makes it a strong consideration for the everyday golfer. 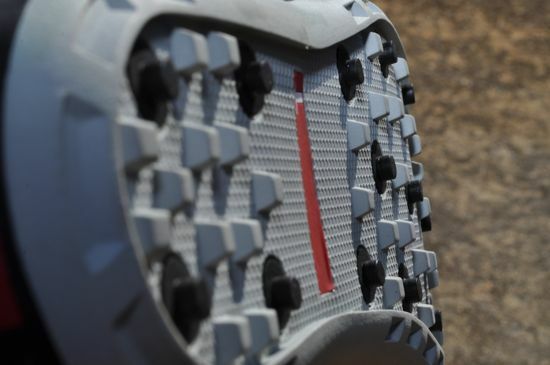 If you’d like to see more of the TRUE PHX shoes, check out our TRUE PHX photo album on Facebook.